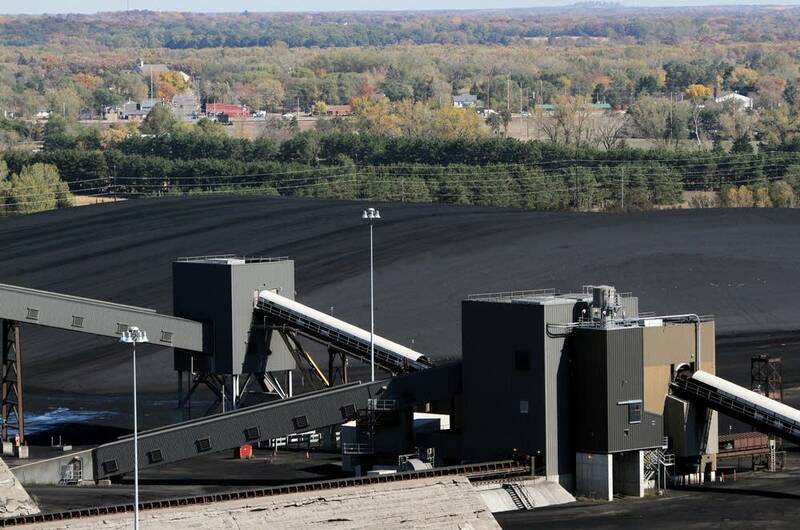 Xcel Energy sees no end to the burning of coal at its Sherburne County power plant in Becker in central Minnesota. In a report to regulators Monday, Xcel wrote that until there is a greater cost for emitting carbon the cheapest way to create energy at the plant is by continuing to burn coal. Sherco is Xcel's largest power plant in the upper Midwest, creating enough energy for two million homes. In the report to the state Public Utilities Commission, Xcel presented the economics of what the company could use to create energy at the Sherco plant, which now burns coal. "We looked at a broad spectrum of alternatives," said Jim Alders, the regulatory strategy consultant for Xcel. He said the study looked at building a series of natural gas plants as well as a combination of renewable energy and natural gas, and examined conservation considerations. "In each case, the Sherco 1 and 2 Units compared very favorably and appeared to be more economical," Alders said. In other words, burning coal makes the most sense right now. But that may not be the case much longer. "We also recognize that there's a great deal of discussion and debate that's developing around how policy should be developed around climate change and those sorts of issues," Alders said. "Depending on what develops that could affect the future of these units." Environmental groups say Xcel is missing an opportunity. The report comes a week after President Barack Obama announced new rules for power plants aimed at reducing emissions that contribute to climate change as well as an increase in renewable forms of energy. "For folks who were listening to President Obama's direction to the Environmental Protection Agency last week, he made it clear that he is closing the loophole that now exists for existing coal burning power plants, that they're putting carbon pollution in the atmosphere and not paying the costs," said J. Drake Hamilton, science policy director at Fresh Energy, a Minnesota nonprofit that advocates for clean energy policy. Some environmental groups say that could mean big changes for Sherco. "What this channels is it's really the beginning of the end for Sherco," said Kevin Reuther, legal director at the Minnesota Center for Environmental Advocacy. "The report says that once there's an appropriate fee on carbon, which there needs to be and there will be, it doesn't make a whole lot of sense to continue to operate Sherco on coal," Reuther said. Reuther estimates it could be a year or two before the carbon regulations Obama outlined go into effect. Conrad Wilson covers central Minnesota from the MPR News bureau in Collegeville.